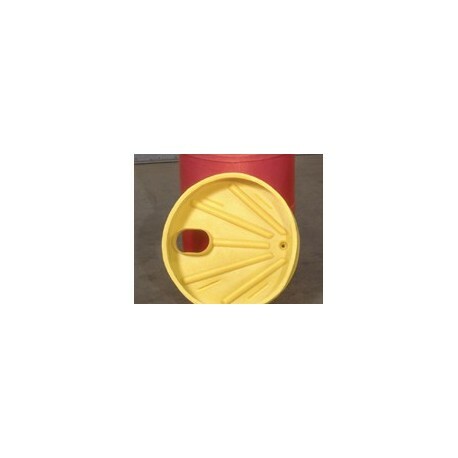 Cleverly designed polyethylene DRUM PUMP FUNNEL works with your drum pump to catch spills and drips and return them to the drum. Adjustable opening fits over the 2" bung opening and accepts any drum pump. 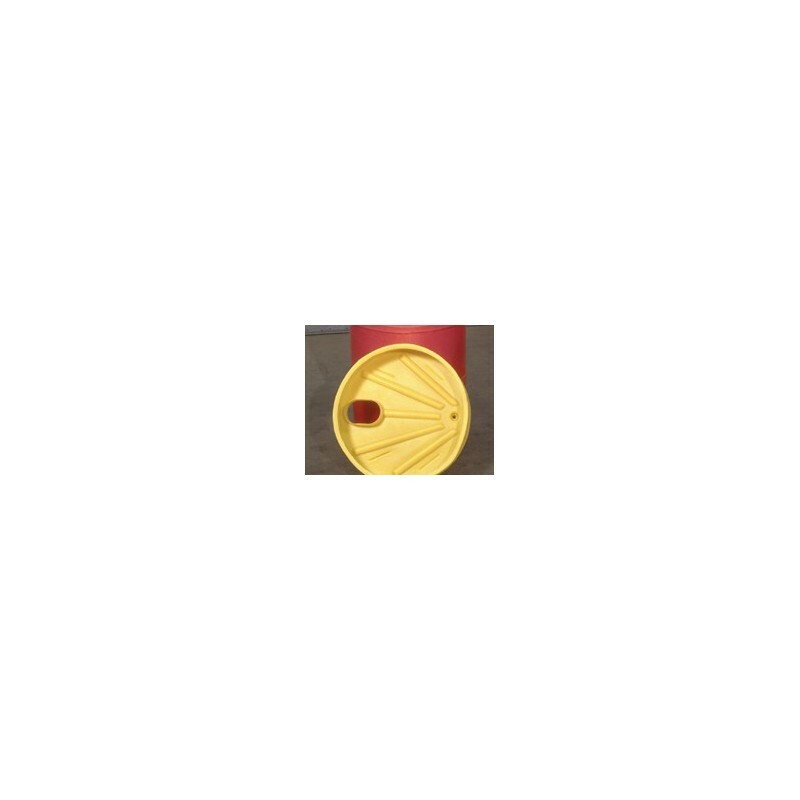 3/4" drain fits into the opposite bung opening. 5 gallon capacity with splash guard. 6"H x 24"D. Weighs 6 lbs. Available in choice of colors perfect for at-a-glance product identification. Specify color: Red (R), Yellow (YL), Blue (BL), Green (GN), White (WH), Black (BLK), Orange (OR), or Gray (GY).